Nanise Vosagaga is from Saivou Village in the heart of Fiji’s northern island of Vanua Levu. 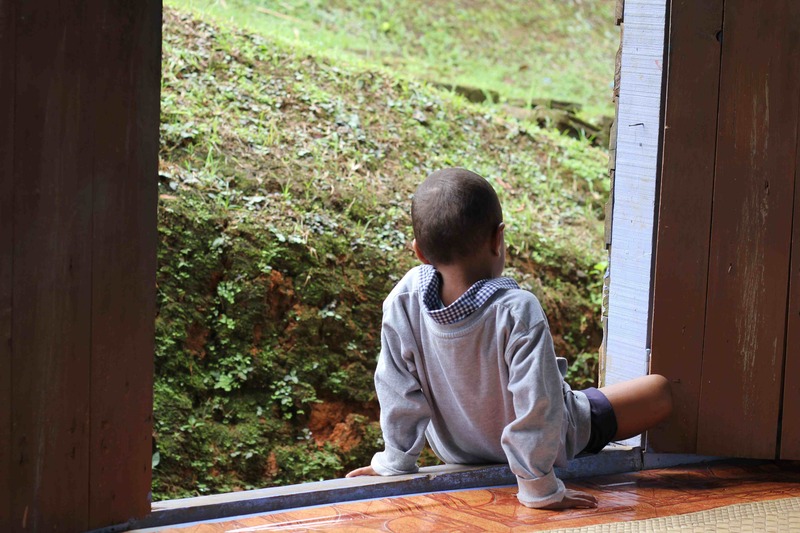 The community is surrounded by picturesque rainforest and seems like an idyllic setting for children but the reality can be much more complicated. This village is more than 70 kilometers from the nearest town, making it hard for many in the area to access basic services like education. 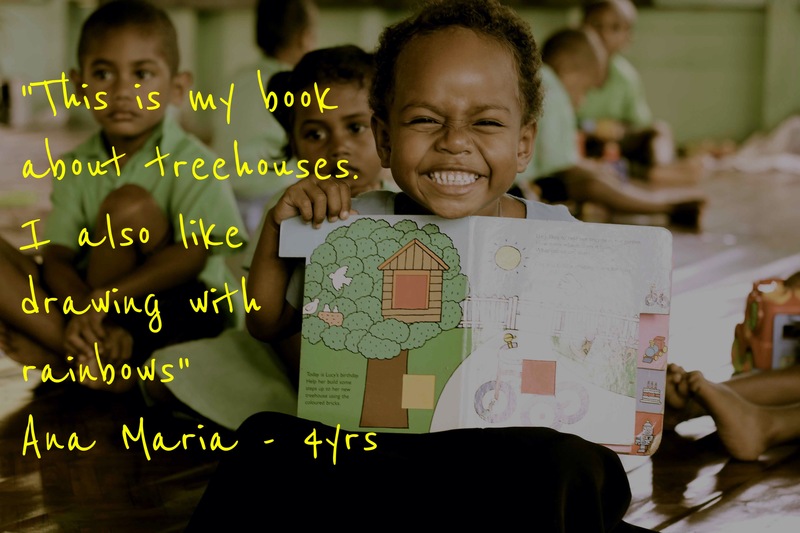 This realisation is what led the Saivou community and Nanise to work together to create a village preschool in one of its local houses. After operating in a temporary space the community then worked together and paid for building materials to establish a the centre in the heart of the village, then opened to students in 2012. 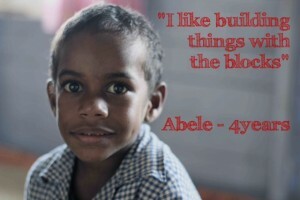 Originally Nanise had no formal training and was teaching the kids in what was deemed an ‘illegal school’ but in 2011, with the support of the New Zealand Government and Save the Children Fiji, a program was built to help these students continue being educated with proper support and recognition from the Ministry of Education. 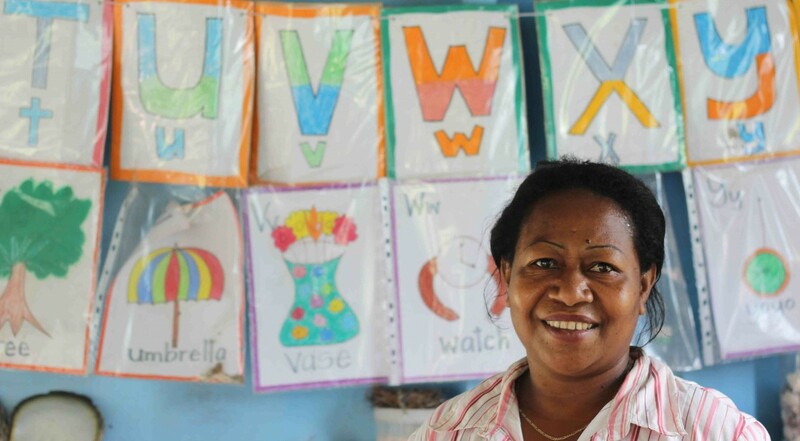 Nanise is now a fully trained Early Childhood Educator who teaches 17 children in her classroom every morning. For many attending, Saivou Kindergarten has given them the confidence to attend primary school and interact on the same level as children who have access to regular kindergartens in their local area. 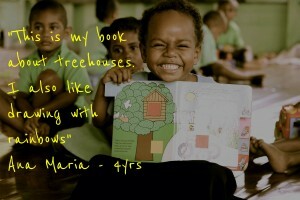 Nanise’s kindergarten is the picture of Fiji with teaching materials and resources developed from local products. 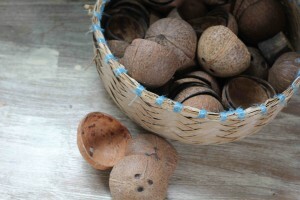 Coconut shells and bamboo pieces replace regular stacking blocks and woven baskets align the walls holding toys and musical instruments made from bamboo and other local products. Note: This program is part of our Vuli Taumada Shishak programme funded by Ministry of Foreign Affairs and Trade (MFAT) New Zealand, Save the Children New Zealand and Save the Children Fiji. It operates in more than 50 vulnerable and marginalized communities across the country.